Papers: 1 audiotape (1971) in Westinghouse Broadcasting Company collection, 1945-1981. Papers: 1924-1982. 140 feet. 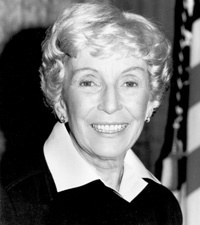 Correspondence, scrapbooks, subject files, speeches, case files, and related materials from her Senate career and her earlier public and private life. Particular emphasis on mental health issues. Finding aid available online. A portion is restricted. Papers: Correspondence in Margaret Bayne Price papers, 1918-1969; Blair Moody papers, 1928-1954; and Read Bain papers, 1893-1972. Finding aid.